Looking to buy a YouTube channel? You came to the right place. If you would like to buy an established YouTube account, you better get in line, as currently, popular YouTube channels are the biggest money makers. You don’t need to have a contract with Universal Studios to be famous, because owning an established YouTube account will get you noticed anyway. This video sharing platform can turn ordinary people into millionaires, as YouTube offers a shared revenue program. What’s the catch? You need to make captivating content, and the money will follow. But the best content in the world will not mean a thing if no one notices it, as millions of other people are trying to get in on the action. With so many users trying there are 1000’s of videos uploaded every second, so how do you stand out of the crowd? You can do that by purchasing established YouTube accounts with plenty of subscribers. However, it is not all pretty. Popular YouTube accounts are very tough to obtain, and it may take months for us to find one. On top of everything they can get pricey, but if you’re still convinced this is something you want to get into, then please give us a shot. What can a popular YouTube channel offer you? If you have a creative mind and a deep budget, then a popular YouTube account may just be what you need. We say “deep budget” because YouTube accounts are generally very expensive to obtain (for obvious reasons). So what can you expect from a YouTube account? Unparalleled user reach, as viral videos spread across the globe like wildfire. Shared revenue. Make money from your content. Video marketing is the most efficient way for generating leads/sales. Advertising contracts. You don’t need to be dependent on YouTube alone (revenue wise). You can make side deals with advertising agencies who wish to promote on your channel. Great Google rankings. It is no secret that YouTube videos rank very high for competitive keywords. Expensive! We have seen YouTube accounts sell into the six digits. Although, for that type of money, we’re talking huge channels. Smaller YouTube channels are within everyone’s reach. Video creation can be cumbersome and time-consuming. How much can I earn from YouTube? Tips on ranking your YouTube videos. YouTube marketing guide by Forbes. 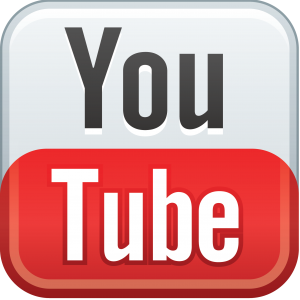 A comprehensive YouTube marketing guide from 2013.